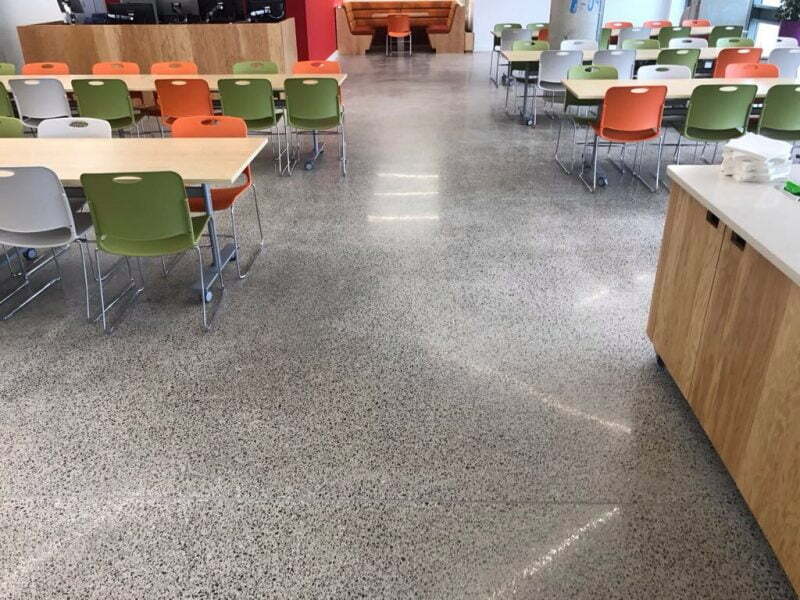 The most common question we’re asked about polished concrete is: How much does a polished concrete floor cost? However, there isn’t one easy answer to this, as many factors will affect the cost of your polished concrete floor – the most important one being whether you are polishing new or existing concrete. If you already have a concrete floor and it is suitable for polishing, the only cost you will incur is for the grinding and polishing process. 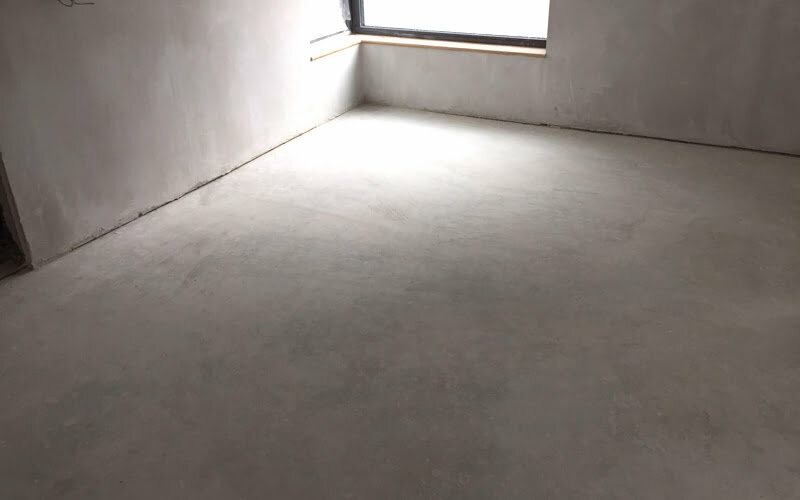 Having said that, most new builds or extensions will require the installation of a concrete slab, no matter what type of finished floor is envisaged. In this case, you should offset the cost of a typical concrete pour when calculating the actual cost of the polished concrete. Remember, it’s the pour and not the polish that is the most crucial stage of the process. If pouring new concrete, we would highly recommend you engage a concrete contractor who is experienced in pouring concrete that’s suitable for polishing. Pretty much any standard concrete you buy from your local supplier can be polished, you can request they use larger or smaller sized aggregate (i.e. 10 mm or 5 mm) at no extra cost. You should also request that polypropylene fibres are used in the mix, as this will help to prevent cracking and shouldn’t add much to the overall concrete cost, if at all. Your experienced concrete contractor may charge a little more than a regular builder to pour your slab. However, you are paying for their expertise and experience, which will give you a much better outcome. A contractor who knows the slab is being poured with the intention of polishing will not add any water to the mix during the pour (a common practice in the building trade). This makes the pour a lot more difficult and means that it will take more time and strength to float evenly, because they are dealing with a much thicker solution. However, they will ensure your concrete is floated right up to the edges, that the aggregate is evenly distributed and not tamped into place. Your finished concrete floor must be power floated and expansion joints cut in every 30 m2. A power float is a finishing machine that is run over the concrete after it is poured and will level and flatten the concrete and help achieve a harder surface. For more information about pouring concrete for polishing, see our blog post Can any old concrete be polished? Yes, getting the right base is going to cost you a bit more than your regular concrete slab, however this is your finished floor! 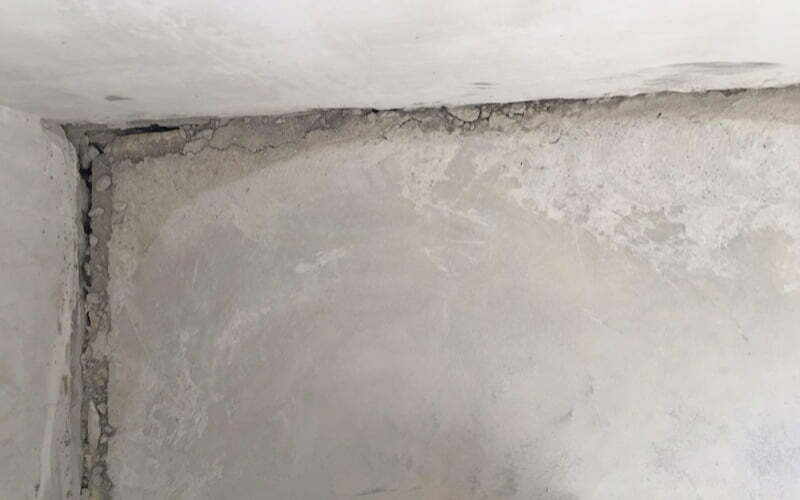 It costs far more to try to repair badly poured concrete – additional grinding may be required to ensure the floor is even, and waves of sandy surfaces where the aggregate wasn’t distributed evenly can never be repaired. Cracks can be filled, but of course this will add to your cost and a repair will always look like a repair. In fact, we have often arrived on site and been unable to polish the concrete because of a bad pour – advising the client to opt for another flooring solution instead. How is polishing concrete priced? 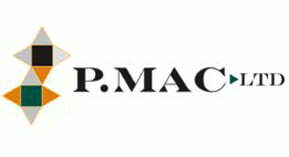 Once your concrete is poured and left to cure for a minimum of four weeks, the professional polishing concrete contractor, such as P Mac, can get to work. If you are on a new build, we recommend you complete all your heavy work before the grinding commences so that we can grind down any damage caused to the concrete slab during works. If at all possible, wait until the polishing is complete or at least semi-complete before erecting stud walls or fitting kitchens, bathrooms or skirting boards. This enables us to achieve a beautiful, even finish across the floor and right up to the edges. Leaving out the stud walls enables us to bring in bigger machinery, giving you a more even finish and reducing costs considerably. Polishing concrete is a labour-intensive job and this impacts on pricing. Edges that have to be ground and polished by hand will greatly increase the amount of time spent on site, therefore increasing the final bill. Another factor to consider when assessing the cost of your polished concrete floor is the total area to be polished. Larger scale jobs will have a much lower per metre cost than smaller areas. Again, this is because larger machinery can be used, we can have more people on site and spend less time on our hands and knees polishing edges. The third factor to consider when pricing your polished concrete floor is the finish you plan to achieve. The deeper you grind and the higher polished finish you require, the higher the price. The bronze finish is the least expensive option, as this doesn’t involve any grinding – you are merely honing your concrete slab and sealing with an impregnating seal. In order to achieve the bronze finish your concrete must be poured completely even and smooth, because we’re not grinding out any imperfections. 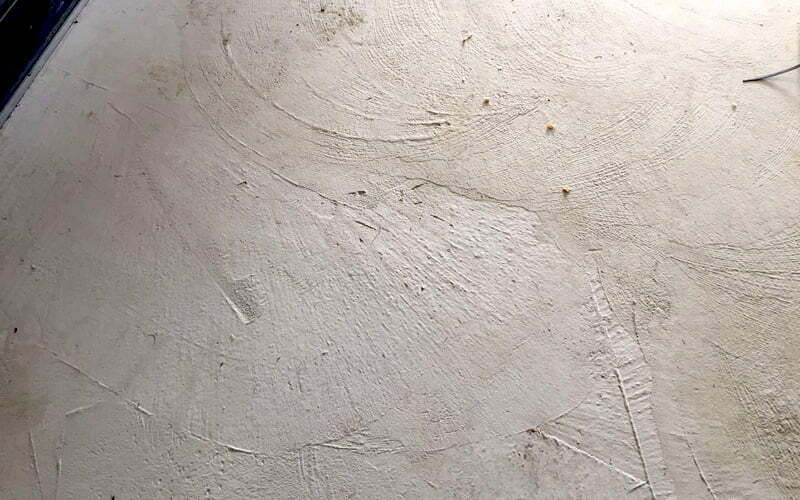 This finish is very difficult to get right and there is no margin for error – all imperfections in the concrete will be exposed! You can still achieve a monotone look by opting for the gold finish. For this finish, we grind off approximately 2 mm to expose very little or very small aggregate. Then we polish it up to give you a high gloss finish. The most expensive option, but by far the most popular one in residential settings, is the platinum finish. Here, we grind up to 5 mm off the concrete surface. The grinding is carried out in stages, starting with the largest diamond tools and progressively reducing the size of the grits with each grind. How much does polished concrete cost per metre square? As you can see, the many factors and variables involved mean it’s not possible to give a straightforward price calculation when it comes to polishing concrete. Once we have discussed all of the above elements we can provide you with a more accurate estimate. However, as a guide you can expect to pay in the region of €50 – 90 /m2 if polishing at least 30 m2. This could go up to €120/m2 or more for areas smaller that 30 m2. 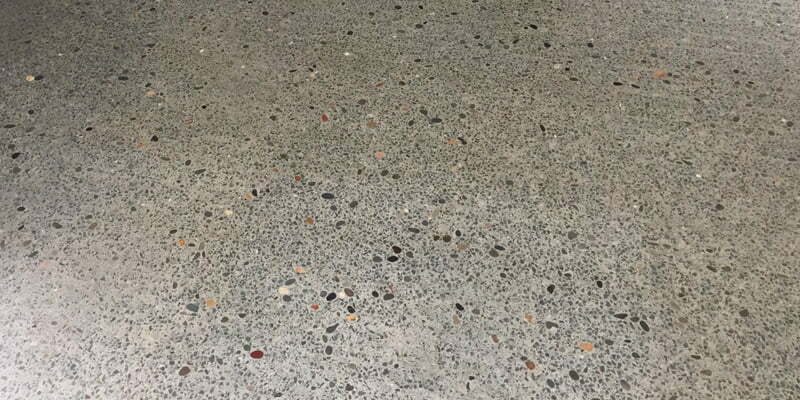 How does the cost of a polished concrete floor compare to other flooring options? A polished concrete floor is very cost efficient when compared to a good marble or stone tile floor, a solid wood floor or quality carpet. Where it really comes up trumps is the low maintenance cost. 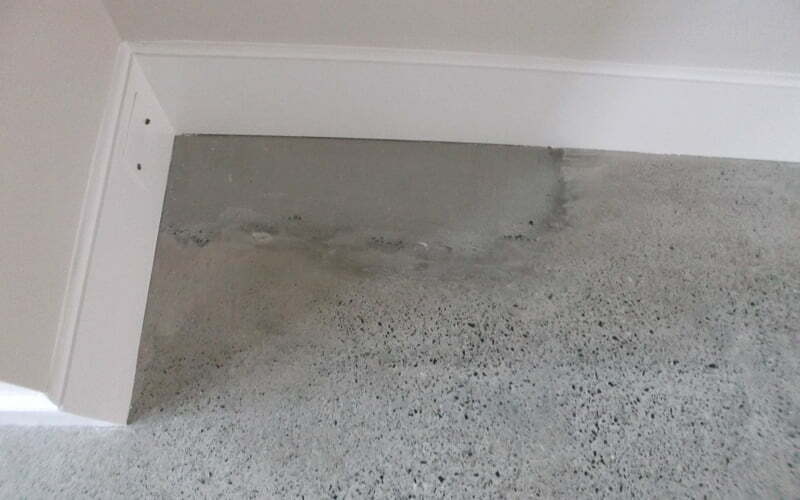 A polished concrete floor will last as long as the house. There is no re-sanding or varnishing required, as with a wooden floor. Marble and stone floors need to be stripped, polished and re sealed every one to three years. Carpets, depending on the traffic they get, will need to be replaced after a number of years. 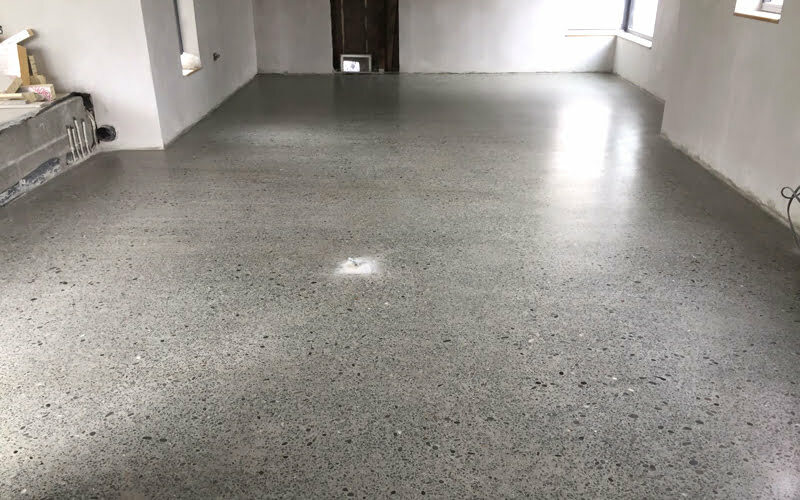 With a polished concrete floor, all that’s needed to retain lustre is a buff and re-seal every two or three years, and a good maintenance plan will do the rest. Your polished concrete floor will last a lifetime and we firmly believe they are worth every penny!